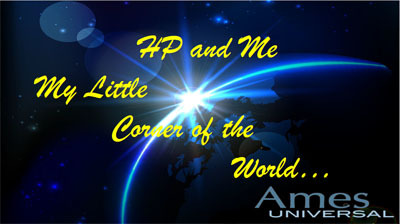 Ames Universal presents “HP and Me” featuring the wit, wisdom and philosophy of HP Ames 92 years on the planet Earth. 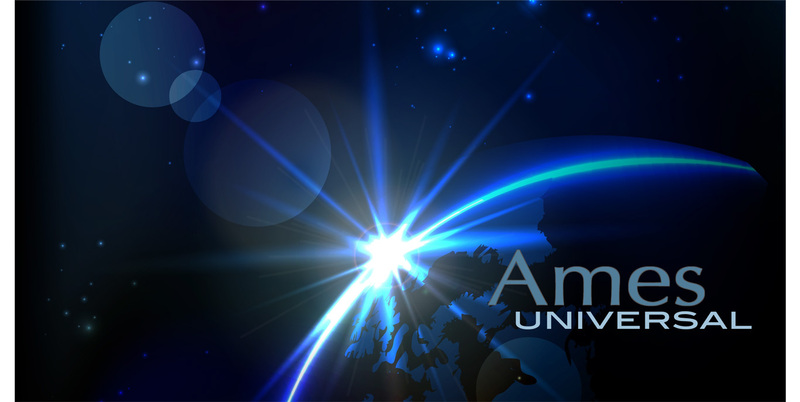 SOON HP will be podcasting new episodes at Amesuniversal.com with all episodes available on demand 24/7. For close to a century HP has participated in the evolution of modern society and has observed the many pitfalls which have plagued humanity in it’s wake. “HP and Me” attempts to address some of these issues and provide witty philosophical insights into how to live a better life. Join “HP and Me” for a little “Chicken Soup for the Mind…” radio programming for the heart and soul. If you enjoy the HP & Me episodes we ask that you kindly subscribe to our podcast with a one time suggested donation of $20.00 (although we will accept your contribution of any amount). This will allow you unlimited access to the current two seasons of My Little Corner of the World and all future episodes we produce. We will also send you a quarterly newsletter with updated episodes and a link to purchase the book My Little Corner of the World, which would make a great gift to a family member loved one or acquaintance, and will be available in 2019. Your contributions will help keep My Little Corner of the World on the air for years to come. 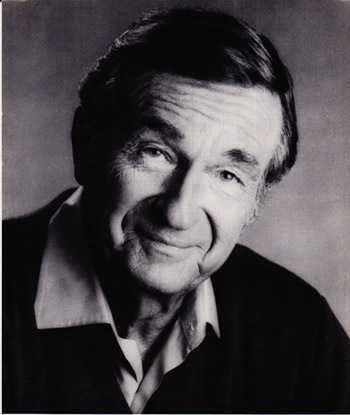 MY LITTLE CORNER OF THE WORLD by Harold Peter Ames: Author, Actor and Thinker for the Seniors of the Brave New World, and Spokesperson for Each of us in Twenty-four Adventures. Introduction by J.J. Hurtak, Ph.D., Ph.D.
I’m proud to announce a new book by a dear friend entitled, My Little Corner of the World. H.P. Ames has given us Twenty-four Adventures of Wit, Wisdom and Philosophy. H.P. Ames is a 92 year old senior, a former Banker, Realtor, and Financial Planner and Actor who retired in San Diego and has seen it all. But more importantly, H.P. has seen the Light of new life at his ripe age, and realizing happiness is a state of mind, he reveals his secret wisdom for all occasions. As a former actor at the Great Coronado Play House in San Diego, he learned to use this guiding light through personal trials and tribulations to find the joy within. H.P. has learned the secrets of good thinking and laughter which he shares with us in his adventures that enlighten our body, mind and spirit. The great thinkers and poet-scholars were inspired by realizing the Light of Divine inspiration with insights through which they described Life in special ways. This is also the work of H.P. Ames as we listen to his words of wisdom. In H.P.’s small, but compact book of adventures, we can connect to his stories of life. . As we hear the mellifluous voice of the H.P., let us close our eyes and concentrate on our body as a beautiful garment of Light surrounded by little gems of light. Actor and super sleuth H.P. Ames, shows us how our “Little Corner” of the universe can be filled with love and understanding. He unravels, perhaps, the greatest mystery of all time, a life code that seems to underlie all our actions of life by the decision we make to visualize the Light, concentrate on the Light, and use our golden years to find meaning in the way we share our positive thinking with others. With wit and insight, we begin to feel the vibrations of good energy between every level of life. Let us always go with the Light and listen to the wisdom and wit of H.P. The themes presented in this book, My Little Corner of the Word, remind us to receive our true wit and happiness flowing through, around, and in between each chapter of the book as we adventure into re-discovering our powerful heart presence. H.P. would like us to listen and honor our hearts, to nourish ourselves deeply and unfold our true self into the world with our renewed lives giving the best of our story of life to our fellow humanity so that we can take the higher path. And now, beloved listener, be inspired as you hear the important message that goes with each chapter of our “Little Corner” of life on Mother Earth. Before we can answer the questions of life–“Where do we come from?” “Why are we here?” “Where do we go ?” –we must carefully ask ourselves three essential questions that H.P. Ames poses for us to think about in this series. The blueprint of life is within our careful thoughts and reflections. Marcus Aurelius, the great Roman Writer and Philosopher, once wrote about doing more with our life within the short margins of our material existence. H.P. teaches us that we can do more with the power of our life in inspiring people no matter what our situation is. It is the art of the impossible made possible! The secret and mastery of our life is in the life-style of how we put the four-letter word “Love” into unconditional action without limitation. Love is the powerhouse of our existence and our genetic identity no matter what our age. The outreach to do more with our life comes through our daily use of the greater benefits of Love. We travel on the highway of life as pilgrims on Mother Earth. There are good ways we can use the power of our mind to steer us ahead so that we can daily overcome the challenges we face and carry on with the Joy of Life. H.P. has given us pause to get down to the roots of consciousness. Life gives us a ‘Second Chance’ to find and use a peaceful and harmonious way of life in service to the Divine and to humanity. By using the Golden Rule we find the ‘Peace that passes all human understanding,” that is, a genuine Man-God partnership beyond the crazy material things people accumulate. The power of truth shows us that we are part of an Infinite Way. Years of experience can give us better perspectives of Life and how to achieve inner greatness. Joy found in the midst of great difficulty is joy found forever. The Divine spark is always available for us to use. H.P. cues us from his ninety-two years of experience. Life offers many opportunities and we should not feel inhibited in exploring new ways of life. We should go beyond ‘hesitation’ and not be shy to be open to the moments of pure life that feed us no matter how easy or difficult, light or challenging, long or short, our lives maybe. The word ‘Angel’ means someone who is willing to help another no matter what the cost. Modern scientists may call them ‘ultra-terrestrials,’ beings from distant or higher worlds. In reality, however, the meaning of angel is in remembering the greater Love and Joy that nourished us. Love does not come by accident or coincidence. In sharing the promise of a greater Life with someone, we truly unfold our true self into life as Human-Angels! Everything comes to an end eventually. With a little help from the man up above we can let go and say to ourselves “onward and forward”. We should be more sensitive to the ones around us. Joy and compassion slows down from the energy of the daily world to life’s beauty and wisdom which we should beam through our eyes and broadcast through our words. We do not hurt the ones we love if we are truly God-centered in Light. Do not be fooled by the illusion of “big things” or false posture. The little things in life add up and train us to nourish ourselves deeply and unfold our true self into the world, molecule by molecule. We go onward and forward in life no matter what by being the avant-garde for the little sparks of life we can cultivate each day. Life can really be a roller coaster until we find the ‘ocean of peace’ in this moment. That is when we give our self to the inner retreat, our place of being where we nourish ourselves by the ‘Peace’ that God brings. We overcome depression and limitation by learning how to expand our consciousness through new heights, breaths, depths, and lengths that come with the visualization of limitless light and space. As we grow older and wiser we realize that intimidation and bellicose behavior never works When we have high values and ethics in our little corner of the world we are available to take the higher path and be touched by our Divine essence, the living beauty that unfolds slowly, gently from the heart that carries luminescence sparks that are resilient. We continue to manifest the Light no matter what the physical situations of life. We do not sit or stand in isolation in a busy world. We must speak up on questions that involve positive solutions for neighbors and for the human race regardless of culture. Our openness, creativity, the strong feelings of our heart can convey real meaning for those who look to us for answers. In self-realization we live in our true ground of being a NEW BEING. In the cross roads of decision making and making new directions we must not cut ourselves off from friends and family who have supported our path of development. We must not burn our bridges with those who have given us meaningful activity in the journey of life. There are no limits to love’s potentiality. As we mature we realize that misfortunes and so-called “Bad Luck” can break one’s spirit, or serve as a spring-board for new understanding of Life. Remember, there are no problems, only solutions for those who can grasp the greater light. This is the time that what the ancient prophets and mystics called Hesed, or heartfulness, can give us permission to explore new directions of life’s call. Something greater is with us, in us. We must listen to the rhythms that pervade all life and bring us the simple joys of the garden of life we cultivate within. In the world of business, global politics, or baseball, the final fiat accompli is NOT necessarily the final fiat accompli –when there’s comeback with extra life. Remember life is part of a living continuum which can provide understanding of our lives connected with the ongoing breath of evolution that does not stop with Mother Earth. Life is a calling to the inner river of higher consciousness. H.P. Ames is right on target! New findings in psychology as pioneered by leading scientists at Stanford Research Institute–have shown that the elevation of human consciousness is connected with minor miracles, e.g., mind-over-matter, bending forks and spoons, and remote viewing of things in Russia simply by the power of the mind. We must be open to a new era of synthesis between scientific and spiritual truths. We have choices everyday to wrestle with the current plot in our lives or find the possible joy of putting things back together through a wider experience of life. In spite of problems we all face, each of us is called to nourish ourselves deeply and to see that it is the balance and interplay between body, mind and spirit that contributes to tranquility, good health and happiness. In order to honor our hearts and unfold our true self into the world we must be willing to truly listen to others who have taken the higher path. Laughter and wit are part of the package of wisdom and knowledge, the CARE package we carry into the future. Consciousness Awareness and the Reflective Energy of Laughter can slow down the fearful energy of the daily world. We must evaluate life and potential friends by great care so as to see real opportunities and growth with true friendship. After many years we are aware of the preciousness of our bodies, true personalities, family, and happy friends. The bridge between daily life and eternity is the wisdom and joy that is passed on between generations. As the great prophets have taught us in the holy texts, we must be prepared to separate the crooked roots and chapters of our life’s experience from the greater Tree of ongoing Life. We all have had good and bad dreams. One American philosopher who loved Freud once said, “the true ontology of Life is the world of dreams.” Indeed, learning to die is learning to live fully. To be a soul in a body, to see, hear, touch, feel life through the heart, this is a continuous wonder. We are, perhaps, spiritual beings living in a material body that will return to the realm of spirit. This was the view of David Bohm, student of Einstein, who became convinced that life goes on to higher Life. H.P. Ames leads the way! A marvelous tour of the world can take place from your Little Corner of the World. The American author, H.P., has given us much to think about in the adventures of Life! We are being prepared for great compassion, forgiveness, and wisdom of the other side. In our hearts, we understand the uniqueness and value of our lives while we already feel the presence of eternity. Each day is full of so many simple moments of beauty. That is why we must do our work to pass on the importance of taking the higher path. Yes, Life is sacred.